Delhi University 2018 Tenth Cut-off for UG merit based courses has been released on 27th August 2018. Delhi University (DU) also known as University of Delhi is the leading public University situated in New Delhi. It is the most sought institution for pursuing higher studies. DU has various faculties which provides admission to UG and PG courses. For some of the courses, DU admission will be done on the basis of entrance exam while for some courses, admissions are based on qualifying examination. Admission in MBBS/BDS courses is done through NEET exam. Candidates can check below the detailed information about Delhi University Admission 2018 including important dates, result, cut-off and counselling. Delhi University 2019 Application Form for MBA courses has been released. 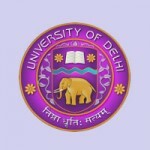 Check here for Delhi University 2019 details. Delhi University 2018 Tenth Cut-off for UG merit based courses has been released on 27th August 2018. Click here to check cut off details. Delhi University 2018 Spot Allotment Notice for UG entrance based courses has been released. Check here for admission details. Delhi University 2018 Fifth Admission List for UG entrance based courses has been released on 6th August 2018. Check here for admission details. Delhi University 2018 Result (Entrance Based Exam) for UG , PG, M.Phill & Ph.D courses have been declared on 7th July 2018. Check here for result details. Notification regarding DU JAT 2018 Normalization Process for BMS/BBA (FIA) & B.A. (Hons.) Business Economic Examination has been released. Click here to check notification. Delhi University 2018 Admission Procedure for merit based courses after the declaration of cut-off has been released now. Click here to view admission details. Delhi University 2018 Fifth Admission List for PG courses has been released on 25th August 2018. Check here for admission details. Delhi University 2018 Ninth Cut-off for UG merit based courses has been released on 21st August 2018. Click here to check cut off details. Delhi University 2018 Fourth Admission List for PG courses has been released. Check here for admission details. Delhi University 2018 Eighth Cut-off for UG merit based courses has been released on 13th August 2018. Click here to check cut off details. Delhi University 2018 Third Admission List for PG courses has been released on 6th August 2018. Check here for admission details. Delhi University 2018 Revised Admission Schedule for PG courses has been released now. Check here for admission schedule. Delhi University 2018 Seventh Cut-off for UG merit based courses has been released on 6th August 2018. Click here to check cut off details. Delhi University 2018 Second Admission List for PG courses has been released on 31st July 2018. Check here for admission details. Delhi University 2018 VIth Cut-off for UG merit based courses has been released on 18th July 2018. Click here to check cut off. Delhi University 2018 Fourth Admission List for UG entrance based courses has been released on 30th July 2018. Check here for admission details. Delhi University 2018 Revised Admission Schedule for LLB & LLM courses has been released now. Check here for admission details. Delhi University 2018 Revised Admission Schedule for UG courses under Armed Forces Category has been released now. Check here for admission details. Delhi University 2018 First Admission List for PG courses has been released on 25th July 2018. Check here for admission details. Delhi University 2018 Third Admission List for UG entrance based courses has been released on 23rd July 2018. Check here for admission details. Delhi University 2018 Second Admission List for UG entrance based courses has been released on 18th July 2018. Check here for admission details. Candidates can receive response sheet of online entrance exam by requesting within 7 days of the declaration of result. Click here to get Response Sheet Format. Notice regarding change of preference order and consideration of revaluation result for DU JAT entrance exam has been released now. Click here to view notice. Delhi University 2018 First Admission List for UG entrance based courses has been released on 12th July 2018. Check here for admission details. Delhi University 2018 Vth Cut-off has been released on 11th July 2018. Click here to check cut off. Delhi University 2018 First Admission List for JAT (BMS/BBA(FIA)/BBE) & B.A. (Hons.) Humanities & Social Sciences Courses also has been published. Check here for admission details. Delhi University 2018 IV Cut-off has been released on 5th July 2018. Click here to check cut off. Delhi University 2018 document verification, approval of admission and payment of fee (3rd round) can be done from 6th – 9th July 2018. Check here for admission details. Delhi University 2018 Admission Schedule for BA (H) Multi Media & Mass Communication has been released. The counselling is starting from 9th July 2018. Check here for admission details. Delhi University 2018 Answer Keys & Question Papers for UG & PG courses has been released on 29th June 2018. Click here to view answer keys. Delhi University 2018 question objection tracker is available now. Click here for details. Delhi University 2018 III Cut-off has been released on 29th June 2018. Click here to check cut off. Delhi University 2018 document verification, approval of admission and payment of fee (3rd round) can be done from 30th June – 4th July 2018. Check here for admission details. Delhi University 2018 Admission Schedule for ECA quota in UG courses has been released now. Click here to view admission schedule. Delhi University 2018 Final Exam Schedule for UG/PG/M.Phil. /Ph.D. courses has been released now. Check here for exam schedule details. Delhi University 2018 document verification, approval of admission and payment of fee (2nd round) can be done from 25th – 27th June 2018. Check here for admission details. Delhi University 2018 II Cut-off has been released on 25th June 2018. Click here to check cut off. Delhi University 2018 document verification, approval of admission and payment of fee (1st round) can be done from 19th – 21st June 2018. Check here for admission details. Delhi University 2018 Admit Card for entrance based exam has been released now. Check here for admit card details. Delhi University 2018 FAQs for UG Registration has been released now. Check below for FAQs. Some new changes has been introduced for the Delhi University Admission Process 2018-19. Check below for details. Delhi University 2018 Registration for UG & PG courses can be filled till 7th June 2018. Check here for registration details. Delhi University 2018 Exam Schedule for UG/PG/M.Phil. /Ph.D. courses has been released now. Check here for exam schedule details. DU 2018 Medical Admission for PG, Diploma & MDS programmes will be done through NEET PG/MDS 2018 examinations.Click here to view notice. DU 2018 Admission Form for MBA (BE) & MBA (FM) courses has been released now. Click here for application details. DU 2018 Admission Form for MBA, MBA (Executive) & Ph.D programmes has been released. Last date to submit the application has been over by 20th November 2017. Click here for application details. Registration for the merit based and entrance based courses can be done on the same portal through one application. Details of applicant’s marks in the 12th class will be automatically captured by the software from the database provided by CBSE, once a student enters their roll number & other details. For admission in sports category, candidates can now submit their three best certificates instead of one. These certificates have to be uploaded as three separate documents. Five year integrated course in Journalism has been added as a new course to the portal. Five-Year Integrated Programme in Journalism in Delhi School of Journalism. DU Result 2018 for UG & PG entrance exam has been declared on 7th July 2018. Candidates shortlisted in the written test are called for interview/group discussion. Merit list is drawn by considering candidate’s performance in entrance exam and interview/group discussion. The cut-off for DU Admission is decided by Delhi University. DU cut off 2018 is released for the UG courses for which entrance exam is not held. The cut-off list is prepared on the basis of marks obtained in 12th examination. Candidate’s securing the cut-off marks are eligible for admission in the constituent colleges of DU. It has been announced from 19th June 2018. Delhi University Admission 2019 will be organized for providing admission to the various UG, PG, diploma, & other courses. These courses are offered in the field of engineering, management, law, commerce, humanities, science, etc. It is a university level examination. Through this exam, candidates can get admission to the university & its affiliated colleges. Based on the merit drawn on the basis of entrance test and interview/GD, admission is carried out in the Delhi University. For admission to BMS/B.A. (Hons.) Business Economics/BBA (FIA), etc. the 85% weightage will be provided to the Entrance test and 15% weightage to GD and Interview. Question: I have registered online on the DU undergraduate (UG) online portal. Do I still need to fill up the offline form for undergraduate admission? Answer: No, there’s no offline form. Question: Can I apply in multiple programmes/courses in an online form? Answer: Yes, you may select all programmes/courses of your interest through a single online registration form. It is important to note that you can apply in all merit based as well as entrance based courses through the same online application. Question: Why am I not able to preview my application and also not able to pay the fee? Completed the mandatory fields (marked with red asterisk) on every page. You have uploaded the required documents under the section ‘Uploads’. Question: Will there be any disadvantage for gap year students? Answer: No, there is no disadvantage for gap year students and they would be treated at par with regular students. They should meet the requisite criteria for admission and must possess the necessary documents/certificates. Question: Can I take admission in two different courses or same course in different colleges after declaration of a cut off? Answer: No, you cannot take admission simultaneously in two different courses or same courses in different colleges. In case you take admission at two places, your admission will be cancelled from both the colleges/courses. Question: Can I edit the details filled during the time of online registration for UG courses? Answer: No, you will not be allowed to make changes later on. Question: I would like to change my examination centre of entrance exam after completing online registration form. Can I? Question: Is it possible to obtain the admit card via post? Answer: No, admit card will be provided through online mode only. Question: When the application form for UG/PG entrance exam will start? Answer: 15th May 2018 for UG and 18th May for PG courses. Question: Can I submit the registration fee through Demand draft? Question: Can you tell me the syllabus and exam pattern for UG entrance test? Answer: Exam pattern and syllabus is different for each course. You can check this in the information bulletin. Question: Do I need to send the hard copy of application form? Question: Can two candidates can apply for the same account? Answer: No, only a single candidate can apply for single account. Question: Is a candidate required to be present in-person on the day of admission? Answer: Yes, candidates must be present along with the desired document. Still any question, leave your comment. For more FAQs Check Here. Registration can be done through online mode only. The application form is available from 15th May 2018 (for UG courses) and 18th May (for PG). Candidates can apply for more than one course but they have to submit separate application fee for each course. Applicants are asked to upload scanned images of passport size photograph, signature, self attested ID proof, self attested copy of caste certificate and self attested copy of 10th passing certificate in prescribed format. Application submission process can be completed after the payment of online registration fee. Only online payment option is available for paying the application fee that include credit card/debit card/net banking. Candidate should have passed/appearing 12th examination by securing 60% in four papers including English, Mathematics and other two subjects from the list of elective subjects as approved by the University of Delhi (55% for SC, ST, CW and PwD categories). Candidates applying for improvement in 2018 shall not be eligible for admission. 10 + 2 examination with Mathematics. Minimum 60 % in four subjects (including mathematics), 54% for OBC, 57% for PwD/ CW category and passing marks for SC/ST. Minimum marks criteria applicable as B.Tech (Information technology & Mathematical Innovation). 12th passed/appearing with minimum 50% aggregate marks. 12th passed/appearing with at least 45% aggregate marks (The aggregate marks will be determined on the basis of one language and three best subjects). Minimum qualification is 12th passed/appearing with 75% aggregate of best four including 85% in English (for general category). This course is only for women candidates. B.Tech./B.E. Electrical/ Electronics/ Electronics and Communication/ Instrumentation Engineering by obtaining minimum 60% marks. B.Com (Hons.) or B.A. (Hons.) Economics Or B.Com Or B.B.S. B.B.A. , B.B.A., B.I.F.A., and B.B.E degree from recognized institution. Bachelor degree (10+2+3 Scheme) from the University of Delhi with at least one paper in Mathematical Sciences (Mathematics, computer Science, Statistics, Operational research). B.A. Degree with 50% marks or any other graduate degree (Science/commerce/Engineering etc) with 60% marks from the recognized University/institution. A three-year/five year LL.B. Degree with 50% marks (45% marks for OBC/SC/ST category candidates). No Age Bar: There is no minimum age bar for admission to undergraduate and postgraduate courses offered by the University and its colleges except for the courses for which age is prescribed by MCI, DCI, BCI, AICTE and NCTE. Admit card download link is released from 15th June 2018. DU Admit card 2018 is available online only on candidate’s registration account. Admit card does not dispatched by post. Candidate have to bring one identity proof along with the admit card. DU UG/PG entrance exam will be conducted in six cities namely Bengaluru, Delhi, Jammu, Kolkata, Nagpur and Varanasi. The examination pattern is different according to the course. For each course, there will be different question paper. Mode of Examination: The answers have to be marked on Optical Mark Recognition (OMR) sheet. Subjects: For each course, there will be separate subjects from which the questions will be asked. Type of Questions: The question paper for UG and PG courses will include objective type questions (except for some of the foreign languages including Persian which have short answer questions). Exam Duration: The duration of examination will be 2 hours. Marking Scheme: For UG courses, 4 marks will be credited to each correct answer. Negative Marking: There is a negative marking for UG courses. 1 mark will be deducted for each incorrect answer. The syllabus for UG courses will be basically based on 11th and 12th standard. For PG courses, syllabus will be of graduation level of Delhi University. Candidates are advised to follow the syllabus as prescribed by the University. The answer key for UG and PG entrance exam has been uploaded. Candidates can download the answer key from the official website of Delhi University (link is given above). Candidates can also request OMR Response Sheet (ORS) within 7 calender days from the declaration of result by paying a fee of Rs. 500/- per paper. For any queries regarding Delhi University Admission 2018, you may leave your comments below. Mathematics is not required for BBA…. Hello sir, i want to know about the course M.SC in human development. for BMS maths is compulsory?? hello sir good afternoon. sir my question is delhi university have PG mathematics cource OR not? What is the criteria for getting admission in lady shriram’s college for ug course B.A. with (economics) 2018-2019? merit based through DU application. Can I apply in DU with 46% marks for Masters? What is the criteria of Msc chemistry? last date for the appreciation of M.A. in du???????? As far as I know business economics and economics are two different subjects. Yet I have doubt about these two subjects. So doing honours from Economics would be different from Business Economics? But I guess it is necessary for bmm not bjmc. If it is then please clarify. What are the criteria for MSc. Mathematics? Is it necessary to have mathematics in 12th (arts) for just I wanted to get admission for UG (B. A. )HISTORY ….????? Check the eligibility criteria, given in the article. tell us your issue with complete details. For this, you must have Math in 12th. If there is any entrance exam then please suggest me…. Yes you can get admission in DU by appearing its own entrance exam. Details given in article. I’m Anup Pandey appearing b.SC phy(hons) I need required information for m.SC best colleges. yes, you can apply for MBA. The tentative dates for application are mentioned in the article. Can i fill direct admission and entrance exam form? Sir…i want to take admission in bsc chemistry..so best 3 subject percentage is counted or 4. I’ve completed my 12th in 2014 with 56%, had to discontinue my bachelor’s due to financial reasons, I’m looking forward to pursue my bachelor’s once again from the scratch, am I eligible to join DU?? After a gap of 4 year, admission is not easy. But you should try at least. Respected, I am a student of 12th standard(Maths,Physics,Chemistry-MPC) studying in Hyderabad. i would like to opt for UG in psycology. i would like to recieve all the information I should know to apply for admission.I would like to know whether i am eligible with math as my subject right now. i hope to recieve the information soon. please send the details for the mail address mentioned above. I have commerce without maths…can I apply for DU? is admission in msc in 2018 will be only based on entrance only for cbcs students? What is the mode of entrance exam of msc (math)??? sir I secure 73.6% with PCMBE in 12th in 2017 can i will fill du admission form in 2018 again in Bsc Physics.I am general. What’s the procedure of admissions under ECA? Delhi university in M.Sc chemistry is present? Will there be any disadvantage for two year gap student .she has secured 94% marks in her 12th exam. i want to know the details of entrance for msc in mathematics. last date of admission form submission for b com admission in du. well, i have to apply for BFA next year, i.e. 2018, so i want to know when will the forms come out for admission for the next year and all the other necessary details. I want to apply for Msc physics courses of 2018. When will i have to fill up the form? I want to take admission in MSc by mathematics. Is the entrance exam compulsory. is the entrance exam compulsory for study in M.Sc forensics? or, is it based on merit? Will there be an entrance exam for BA political science (Hons.) in 2018 ? Can i applie for b.com and b.com(hons.) both in one time. There will be any problem in doing this in future. I want to take admission in B.A. by economics. Will I have to fight entrance test? Please inform me. Will there be an entrance exam for BSc in Zoology or through cut-off marks? sir news have come that du will conduct entrance test for all ug courses. To what extent it’s true? Kindly inform me about site of Delhi University BTech application.. Application has not been released yet. Sir, please send me pg political science entrance exam paper old.